Tel-Aviv, Israel March 10, 2016— RFOPtic announced today its new product line of programmable RF over Fiber products. The new product line operates at 3 different frequency bands from 0.5 MHz GHz to 6 GHz and brings a new approach to the market. 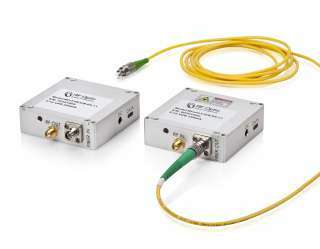 Today, RFoF modules are used to transfer analog and digital signals through the fiber. The main drawback of existing modules is their inflexibility. In addition, there is no simple diagnostic tool to analyze if the module is ok or faulty and if faulty the operator needs to know the reason. Whether it is the optical components or the Radio Frequency. For many applications, there are only partial solutions in today’s existing market. 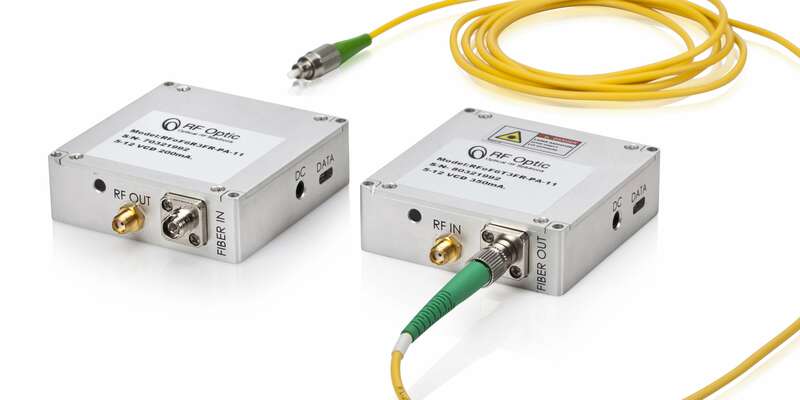 RFOptic developed an RFoF product line that provides Gain adjustment, NF built-in improvement and optical and RF diagnostic tools embedded in the product. The product frequency band is from 0.5 MHz to 3 GHz and from 0.5 MHz to 6 G GHz with a built in microcontroller and software running on a PC user interface. The user can control all RF parameters by amplification/attenuation of the transmitter unit and the receiver unit. Any gain between 0 to 40dB can be obtained. The RFoF product line has built-in diagnostic capability of the RF and the optical parts. The transmitter can be tested as well as the receiver as well as an end to end RF test can be performed. The RFoF modules are compact size and have simple DC feeding from any mobile charger from 5 to 12 volts. The connection to the computer is done through the popular USB interface. The product can be housed in indoors, removable panel or outdoor enclosure and comes as 1310/1550nm. Dr. Avner Sharon RFOptic ,CEO and CTO said, “ We explored the long term customer’s needs and developed product that can be tailored upon customer request and maximize efficiencies. Since fiber technology is tricky it leaves maximum flexibility to the customer how to tune his modules in the field. RFOptic Ltd. Is a global vendor of innovative RF and optical solutions and optical test measurement solutions. RFOptic provides solutions for existing and next-generation Radar and EW systems and operators. RFOptic products include optical, microwave/RF, and digital instruments as well as operations support systems for R&D, manufacturing, installation, and maintenance.